Riding On: What's in a name? Well here it is Memorial Day, in the entire store I'm probably the only not schedule to work and... it's raining. That's right. I had planned to do some yard work, but... I guess I'll have to do stuff inside, like maybe do laundry. I was supposed to go to the movies but that's been moved until Thursday. This is the day we're supposed to be giving thanks to those who have served in the military. 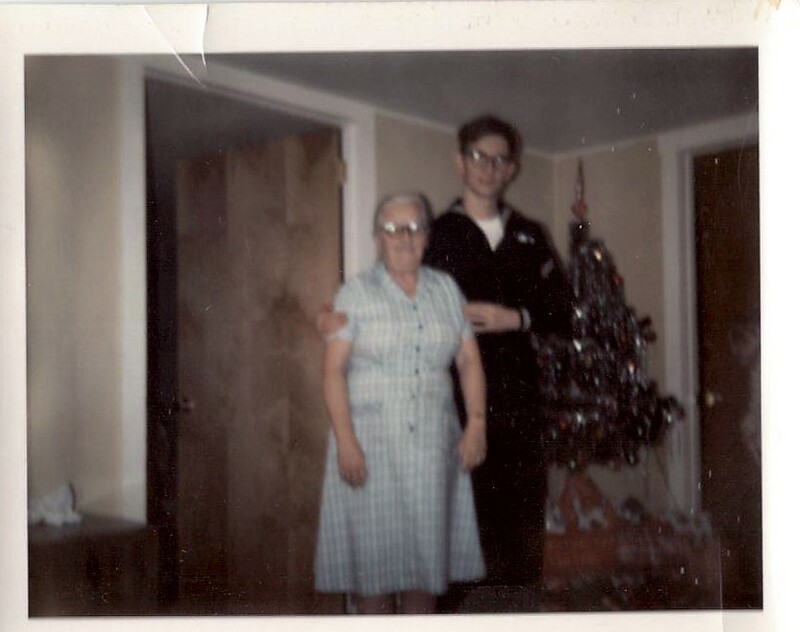 For those who don't know, I was in the Navy. Actually, I'm considered a Vietnam Vet, even though my boots never touched ground in Vietnam. 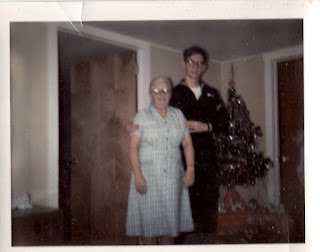 Here's a blurry, old picture of my grandmother Lily and me in my sailor suit. She was born Lily Granger (granddaughter of a little, ginger Irishman) and married Levi Daubert. For years everybody thought Daubert was German, that my great, great, great grandfather had come to this country from Germany, after a brief stop in Holland. until my uncle took the Northern Lebanon High School Band to perform in the Rose Ball parade. Everybody gathered around their television screens to watch the band play on National TV, and everybody was truly shocked when they pronounced his last name D'aubert. Of course everybody scrambled, believing the announcer had been wrong... but he wasn't. Turns out my great, great, great grandfather had migrated from France, first to Holland, and then to America. I am part French! and Irish! and a lot of German. Back when 'W,' the last Republican Idiot to corrupt the White House, wanted to take the world into Iraq and the French said "no," my conservative parents started to denigrate the French, until I reminded them that We... Part of Our Bloodline... our Lineage, hailed from France, something I am very proud of; the French pretty much helped save our asses during the Revolution... we owe them a lot. My Boxer, Lily, is named after my grandmother, and when I registered her with the AKC I used the French pronunciation. She is Lillian D'Aubert. Men in uniform always rate high in my book.